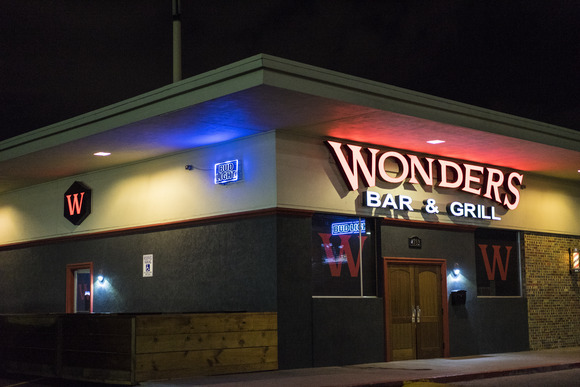 CORPUS CHRISTI, Texas—E2I Design recently installed a complete audio solution by HARMAN Professional Solutions at Wonders Bar & Grill, a newly opened pub, restaurant, sports bar and live music venue in downtown Corpus Christi. Owners Dayyan and Darren Wonders hired David Rotter, a Systems Integrator at E2I Design, to create a user-friendly system that would enable them to play a wide range of audio sources and manage volume levels in different areas of the bar. After careful consideration, E2I selected a complete HARMAN audio solution made up of dbx controllers, Crown amplification and JBL speakers for their seamless integration, intuitive operation and exceptional sound quality. The system E2I Design installed at Wonders Bar & Grill includes a dbx ZonePRO 1260m digital zone processor, 4 dbx ZC2 wall-mounted zone controllers, 1 dbx ZC3 wall-mounted zone controller, 1 Crown DCi 4|600 power amplifier, 8 JBL AWC82 loudspeakers and 1 JBL SRX828SP dual self-powered subwoofer system. Using the ZonePRO processor, E2I Design created four separate audio zones within the bar, including a stage area, a general hangout area, an indoor patio and the actual bar itself. All of the zones play the same audio source and have their own volume controller, which allows the staff to set different volume levels within the same room and enhance the overall experience for customers. For example, the music can be turned up very loud in the back of the room near the pool tables, and set much lower in front of the bar so patrons can easily order drinks and have conversations without shouting over the music. The AWC82 speakers are also highly directional, and E2I installed them to point away from the bar to make the area even quieter. The system is programmed to automatically switch between multiple audio sources, which can be prioritized using selector switches for different events at the bar. The TV can be set to override the music from the jukebox during a big football game, or a live DJ can override the TV and jukebox during a performance. Finally, the system is designed to sleep until there’s an input source, so there’s no need for the staff to worry about powering the system on or off. E2I Design hired audio engineer Mike Pena to fine-tune the system and ensure that the audio sounds great anywhere in the room. Using the ZonePRO, Pena was able to program limiters, volume levels and EQ settings for each separate zone and audio source. The seamless integration between the HARMAN solutions made the entire tuning process fast and easy, and the resulting sound quality speaks for itself.